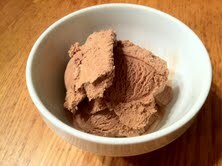 This is a chocolate ice cream version that is tasty and has a little probiotic punch. My Kefir Ice Cream recipe was a little too strong (by that I mean tart) for the boys, so I came up with an alternative that is still healthy, but a little tastier. Beat eggs together and then beat in the sugar. 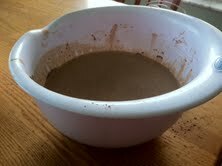 Blend in the cocoa powder, cream, and vanilla. Then add the raw yogurt and blend. Transfer to the ice cream maker. And 25 minutes later you have a healthy probiotic filled dessert for the kids and husband. Cool and refreshing. They love this chocolate ice cream. Probiotics in every meal is one of my goals~ including dessert! Read about why probiotics are healthy here.